Last month, we told you about LG's entrant into the voice activated personal assistant field with Quick Voice. As we mentioned, Quick Voice is currently available only in Korea and matches some of the functionality seen on similar technology like Siri. The featrure allows LG users in Korea to request certain apps to be opened, have a text dictated and sent, set an alarm, check stock prices, make a call and much more. The good news for LG fans is that Quick Voice is getting a fast Berlitz course in English and at the same time is slimming down its name. 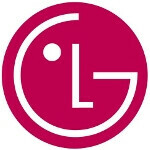 While Samsung has the S Voice on the Samsung Galaxy S III (which recently has received some mixed reviews from users), LG will be changing the name of its voice activated personal assistant to Q Voice as it rolls out the feature to English speaking countries in the first half of next year. According to the Korean based manufacturer, Q Voice uses "reasoning with a probabilistic model to find the best answer". This means that the context of the question is taken into consideration instead of just using a database to relay answers. LG believes that this should allow Q Voice to respond in a more natural fashion no matter what language is being used. LG says Q Voice will be able to control device settings and "perform any function [with] the appropriate procedure". Like Siri, LG has developed Q Voice to make you laugh at answers to certain questions. Asked what it had for lunch, Q Voice responded, "I ate 220 volts. It was fresh and exciting". The voice activated personal assistant field is getting crowded with competition now coming from Android manufacturers like Samsung and LG and Google itself. Google Now, available on Android 4.1, takes the technology a little higher with its intelligent push functionality. This allows the feature to automatically give you information like sports scores and traffic, without you requesting it at that moment. Google Now will know your favorite teams, your driving routes and more, all to be able to send you the same information you might get from a Siri or Q Voice if you had requested it. With Google Now, the difference is that you don't have to ask for it. Yup. LG has some pretty good hardware but OS updates takes forever. Ask the Optimus 2X who got official Gingerbread just last December. If they can out OS updates faster than the competition it sure is a selling point. lawsuit sighted on the horizon! Linux CEO is right!! Thumb down to all OEM!!! Nexus FTW!!! What do you mean your half male?